We all have people and situations that give us energy or take energy away. Proactively managing our sources of energy is key to living your Best Life. Energy is the source of action, positive or negative, so it’s important to understand our unique sources of energy so we can keep ourselves topped up with positive energy and avoid situations or people that zap our energy. When you are with them you feel a spark of enthusiasm, you are inspired, and you know you do more exciting things, think more and learn more. When you are with them your energy is neutral – they neither give you energy nor take it away. When you are with them you feel your energy being drained because they are negative – they may have a ‘glass half empty’ attitude. Thinking about your life through the lens of your energy givers, your energy sloths and your energy vampires can be confronting, but it is important to notice how your energy is affected by the people you are with and situations you find yourself in. Your energy levels are just like a battery – they may be running on full, or running on empty, or anywhere in between. The risk is that if you are running on empty you have no reserves when you have big challenges. If you can manage to increase your energy sources, and make sure that your battery is more full than empty, you will be able to cope with the challenges life throws at you. Your energy givers might not be people that you see that often but they still give you great energy. Proactively managing your energy sources becomes part of your design as you plan to keep your energy at 80% to 100%. What I know is that if you do work that you love and the work fulfils you, the rest will come. Understanding and managing your Energy sources is one of the 10 tools of life design. If you can define and design a life that increases your energy sources and lessens the effect of energy vampires, that step alone will get you started on Life Design. This might only take small tweaks – after all, life design is not a knockdown and rebuild, but rather a gentle renovation of what we already have. In the design process, we can make the conscious choice to have influence over our energy levels. Energy and Inspiration are the two things that keep you in the zone of “I can cope with most things”. 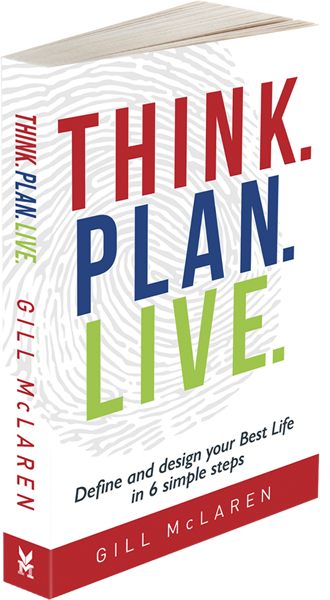 Gill McLaren, Author of THINK.PLAN.LIVE. 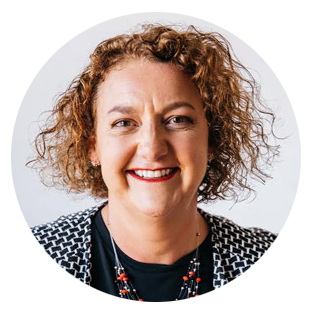 When I offer executive coaching, I help people explore their energy sources and work out how to minimise the frequency of having their energy drained, and maximise an environment that gives them energy. However, I really want everyone to be able to work this out, so I have created a downloadable ebook so you too can get started on understanding your sources of energy. Life Design is all about building sustainable, successful personal lives and careers. In today’s busy world, it can be difficult to find a balance between our personal lives and work. If you’re ready to make 2018 your best year yet, head across to Life Design Your Way to get started.